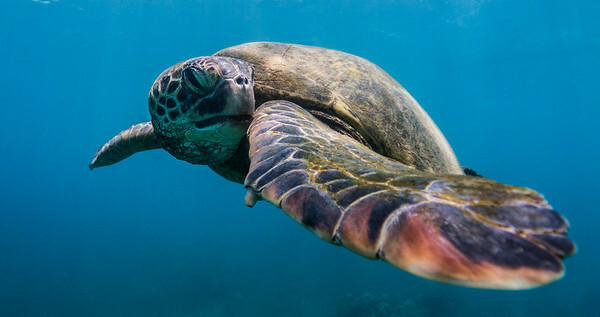 Sea turtles can only bend their flippers so far. 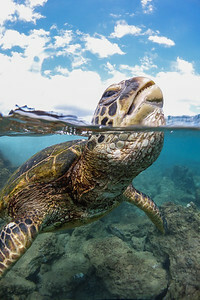 Over/under of a sea turtle taking a breath. That's some impressive neck strength. 1 of 2 in a series. 2 of 2 in series. 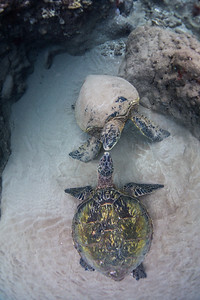 Same male turtle as in 3 previous shots, Photos taken 1 and 1.5 weeks apart. 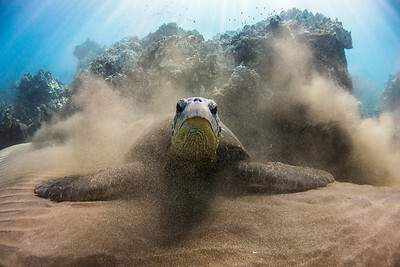 Sandstorm provided by sea turtle. I've seen them do this numerous times, but never captured it like this. Maybe they are wiping their mouth or have an itch? 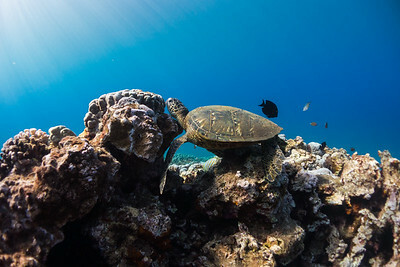 A clear day and a chill turtle made for a good shot. This a a female because her tail is short. 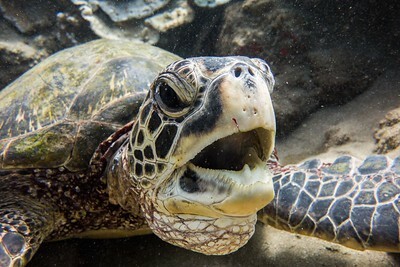 This male Hawaiian Green Sea Turtle had almost 10 barnacles on various parts of himself. 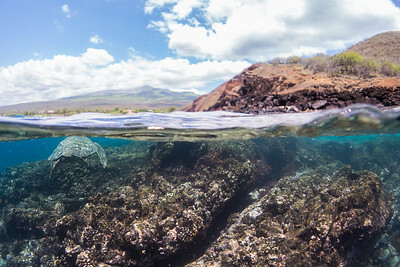 A Hawaiian Green Sea Turtle rests on a rocky reef in Honolua Bay. 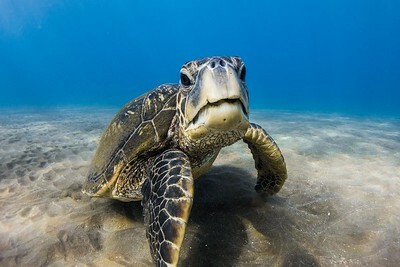 A serious looking male sea turtle kicks up some sand with its front flippers and settles in for cover. 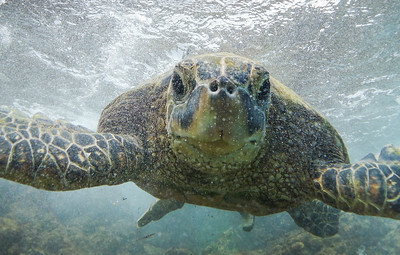 This Hawaiian Green Sea Turtle was badly inundated with tumors caused by fibropapillomatosis. Blind in one eye and going blind in the other. 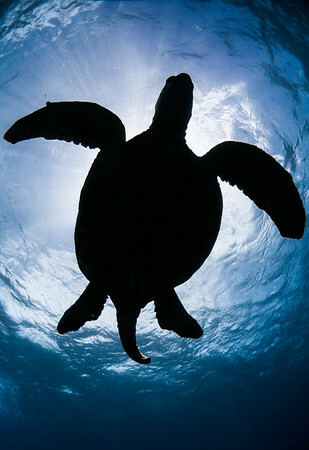 A silhouette style shot with enough clarity to light the underside as well. 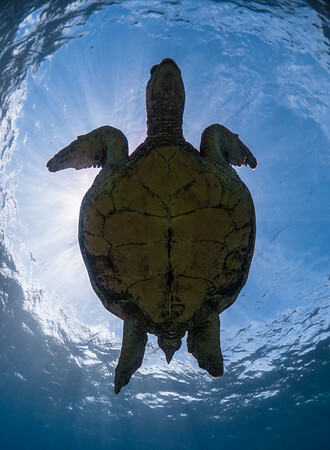 A sea turtle sees its reflection in my camera dome. 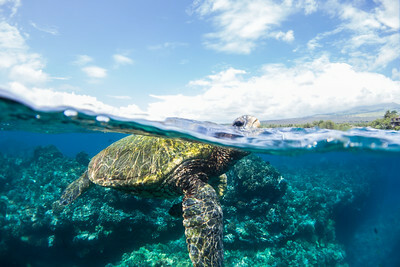 Honu taking a breath woth Maui behind. 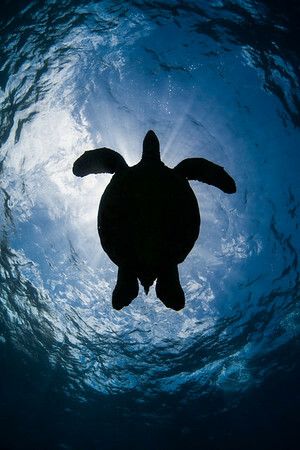 A turtle rests in the sand while catching some rays. A little yawn from this lady while relaxing on the bottom.